Today, I am thinking about how God will give you a whole lot of do-overs. I recently heard this comment and thought immediately that the person who said this was spot on. We’ve been talking recently about how we shouldn’t be so quick to dismiss someone if they have ill intentions—maybe God is using us to reach them. However, I can’t begin to count the number of times it has taken me to do better in this area. We may think that we’ve learned our lesson about something, but God knows that it may take us another five times to endure that lesson before we master it. So, it is important to understand that God is patient; He is a god of second chances. This reminds me of the beautiful exchange Jesus had with the Samaritan woman. As they were talking, Jesus asked her out of the blue to go and get her husband. The woman had to confess that she didn’t have a husband. Jesus responded by saying that he knew the truth was that she had had five husbands in the past and that she wasn’t even married to the man she was currently living with. This passage reaffirms for us that Jesus was still embracing this woman despite her mistakes. He was teaching her with love even though she appeared to be making the same mistake over and over again. 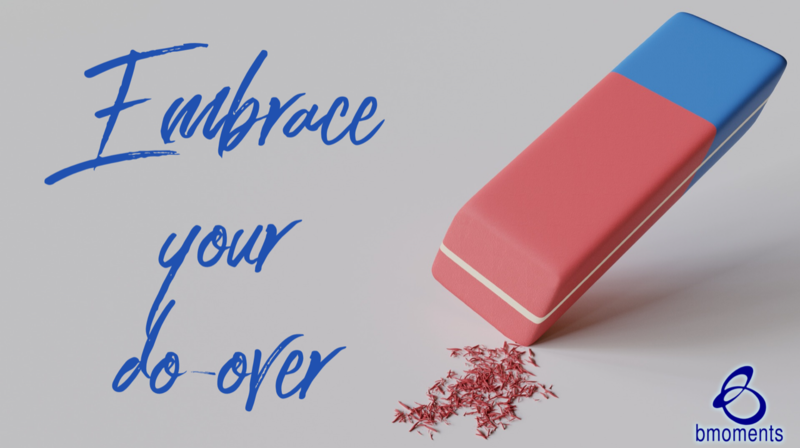 So today, embrace your do-over.